A disturbance call Sunday, Aug. 12 at 11 p.m. led to the capture of a Tenneesee fugitive on felony warrants. Patrol deputies responded to the 200 block of Old Bethel Road west of Natchitoches. The caller reported a relative had been drinking and was acting belligerent. 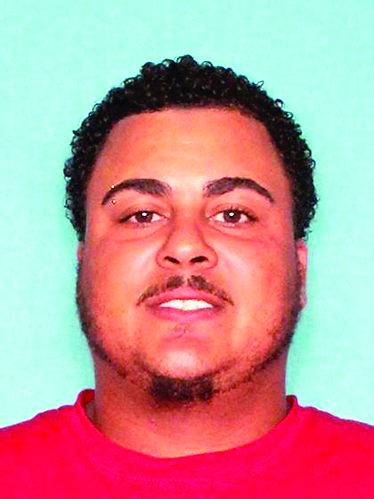 Deputies spoke with the individual involved in the disturbance, Stacey Davenport Jr., 28, of Natchitoches. During a National Crime Information Center database inquiry check, deputies learned Davenport was wanted by the Sumner County Sheriffs Office since March of 2018 for Felony Filing of a Police Report, Criminal Damage to Property valued over $1,000 and Probation Violation on original charges of Aggravated Burglary, Domestic Abuse and Possession of a Handgun while under the Influence. NPSO Communications Operators confirmed the warrants with Tennessee authorities. Davenport was arrested without incident and booked into the Natchitoches Parish Detention Center as a Tennessee fugitive where he is awaiting extradition at a later date. Dep. T. Pledger made the arrest assisted by Lt. M. Wilson.